In the category of accounting software, it's hard to come by useful titles which are licensed as freeware. Thankfully, Delta60 has released a free accounting program in its Delta60 Accounting Software - World Version. The base of this accounting software is actually the USA version, and it gives you the option to switch over the the world version which offers a few extra features not so commonly used in the United States or Canada. 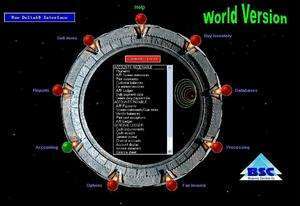 The application includes the "Stargate" interface which is an attempt at making the software look cool. For security reasons, you should also check out the Delta60 Accounting Software download at LO4D.com which includes virus and malware tests. Additional screenshots of this application download may be available, too. Delta60 Accounting Software has a presence on social networks.